But for help of the Meden-Inmed company providing such a huge public facility as our Park of Active Rehabilitation and Sport with all the necessary equipment wouldn't have been possible. We received tremendous support from their side, which enabled us to reach solutions ideal to our needs very quickly. 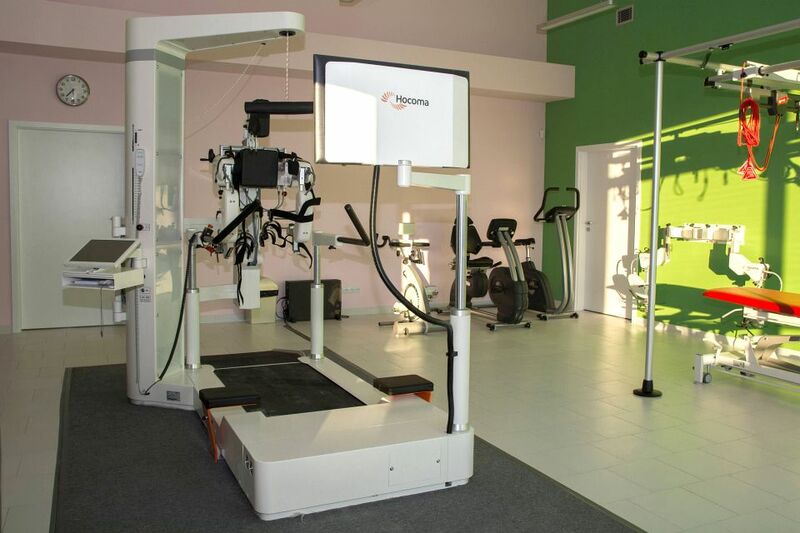 Providing complete equipment for the Park of Active Rehabilitation and Sport, Bydgoszcz. 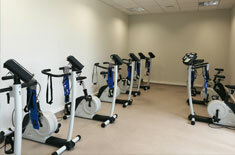 So as to offer the highest standards the facility was equipped with the most modern medical furniture, rehabilitation tables, and state-of-the art equipment for rehabilitation and biological renewal, including the M6 ASA Laser system with High Power characteristics1, Gymna-Uniphy electrotherapy equipment, cryotherapy equipment, and complete rehabilitation Redcord systems. Meden-Inmed designed and installed luxurious saunas and salt chambers, jacuzzi and hydromassage rooms, a sports hall, gym, 25m swimming pool, and a conference & training centre. The Rehabilitation Centre was established in cooperation with Meden-Inmed, who served us professionally having regards to individual requests. They assisted in the selection of equipment for kinesitherapy and physical therapy. They served as a guide in the placement and assembly of cameras in surgeries. Moreover, the Meden-Inmed company gave substantive training on the use of purchased equipment. We recommend them for quick contact and great commitment. Wioletta Krakówka President of OST-MED Ltd.
OST-MED Sp. z o.o. is a company operating since 2014. The company's mission is to create a unique health care organization in diagnosis and treatment. We focus on providing high quality innovative medical services, unique on a national and European scale. The company's main goal is to increase the availability of health care services including rehabilitation for children, adolescents and adults. a vertical table and much more. Our staff has the training, knowledge and skills in the field of working with children diagnosed with CP. Selecting equipment for a medical centre is of crucial importance, especially in case of such a large project as our, so using professional guidance in this matter cannot be overestimated. The help we received from Meden-Inmed employees far surpassed our expectations. Radosław Walas Commercial Proxy of Rehamed-Center Sp. z o.o. Meden-Inmed provided our Rehamed Centre with the best medical equipment currently available on the market, thus we can offer our patients the highest standard of professional care. dr Wojciech Rusek Manager of Rehamed-Center Sp. z o.o. 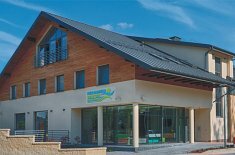 Providing complete medical and rehabilitation equipment for the first private rehabilitation centre Centrum Rehabilitacyjne Rehamed-Center in Podkarpackie Voivodeship. The managing board of the facility required state-of-the-art equipment with the aim of offering the highest standard of rehabilitation service. strength exercises and fitness training rooms. We thoroughly recommend cooperation with Meden-Inmed – it's a credible, responsible, supportive and trustworthy partner. The equipment we were supplied with went beyond our expectations, and their professional help and counseling on selecting the equipment substantially increased the pace of carrying out the project. Thank you! 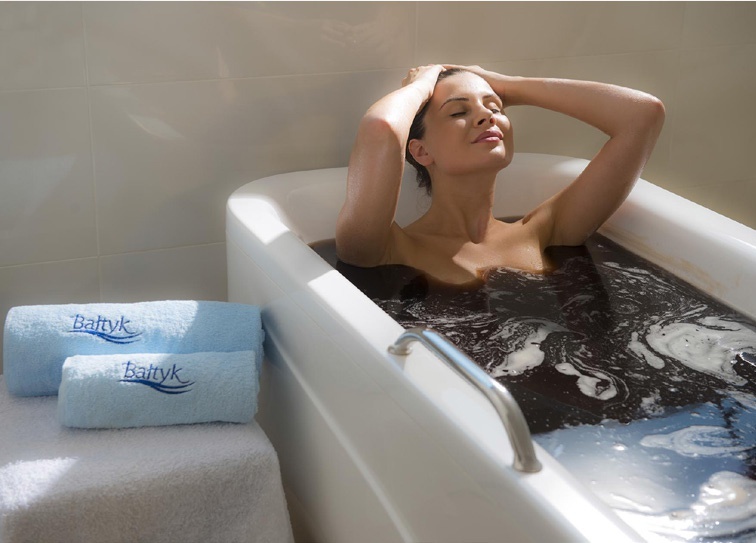 Providing equipment for the luxurious Sanatorium Spa Baltic, Kołobrzeg. The Sanatorium was supplied with the ultramodern rehabilitation and wellness and spa equipment, including widely acknowledged on the market apparatuses for hydrotherapy, thermotherapy, and the High Intensity Laser Therapy (HILT). Fitness rooms as well as motor rehabilitation rooms were fully provided with the Kettler fitness equipment, Terapeuta massage and rehabilitation tables, rehabilitation rotors, and Redcord Sling Exercise Therapy sets. 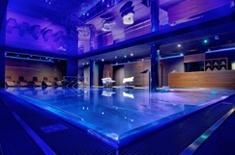 The Sanatorium Spa Baltic is at present one of best equipped rehabilitation and wellness and spa facilities in Poland. With professional guidance and training in the field of operation of the devices by employees Meden-Inmed, Spas Kamien Pomorski introduced specialized services in the field of rehabilitation. Equiping of Kamień Pomorski Spa with modern equipment for neurological rehabilitation - Lokomat Pro v.6 designed for walking therapy and motor reeducation. The Kamień Pomorski Spa is one of the most valuable spa bases in Poland offering professional treatment, specialist rehabilitation and a wide range of natural therapies. Top-quality devices and qualified staff provide patients with the highest level of services. advanced equipment for neurological rehabilitation (including Lokomat Pro). The construction of a modern centre requires the cooperation of many specialists. We are pleased that we chose Meden-Inmed Ltd our partner in the medical industry. Thanks to many years of experience, commitment of employees and professional advice - Holmed Hospital Resort has been comprehensively equipped with technologically advanced equipment. Support at the design stage allowed for the construction of functional and ergonomic rooms. Thank you for the individual approach to our investment. Comprehensive equipment of the Holmed Rehabilitation and Spa Hospital includes hydrotherapy, balneotherapy, physiotherapy, kinesitherapy, cryotherapy, REDCORD system for NEURAC therapy and treatment and massage tables. The hospital offers patients a professional rehabilitation of the spine (including using the innovative DAVID modular system), cardiology (innovative XRCISE CARE software), oncological and systemic. Visitors can also take advantage of expert advice from a psychologist and dietitian. Treatment plans are selected individually during medical consultations, based on the conducted tests. Holmed SPA is the largest investment of this type in the Podlasie voivodship. 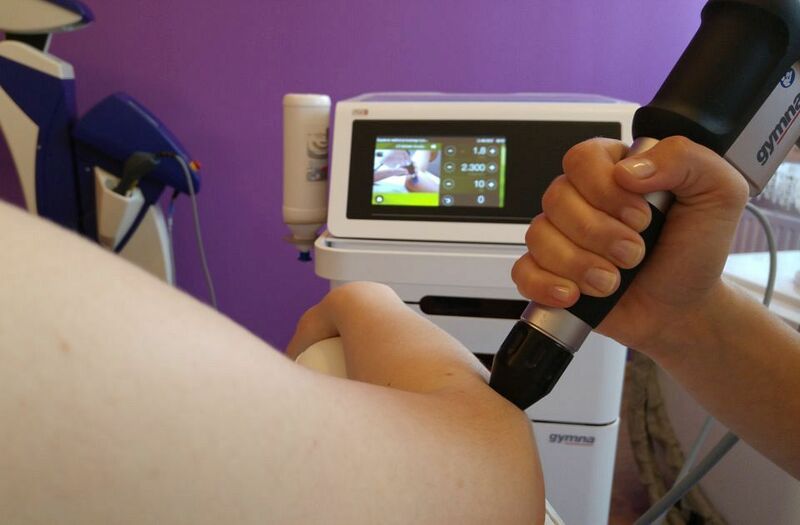 Against the background of the competition, it is distinguished by modern infrastructure, qualified staff, friendly atmosphere and short waiting time for treatments. The Bristol ART & SPA sanatorium values the professionalism and quality of services. That's why we asked Meden-Inmed for advice on equipping the Medical Centre. Big knowledge and help of employees allowed us to make a decision in the selection of equipment meeting our requirements. Medical Centre equipment - Bristol Sanatorium in Busko-Zdrój with balneology, hydrotherapy devices, massage and rehabilitation tables. This is a luxurious centre offering medical rehabilitation using the modern devices. The sanatorium has experience in the rehabilitation of the musculoskeletal system, spine, rehabilitation after mastectomy, and chronic diseases. Therapeutic plans for selected diseases. We chose Meden-Inmed Ltd. due to the high quality of products offered and an individual approach. At every stage we could count on professional advice and help. The order was completed on time, with attention to every detail. I recommend cooperation with Meden-Inmed Ltd.
Comprehensive equipment at the Clinic Our Clinic in Ożarów Mazowiecki. Medical offices have been equipped with modern and ergonomic furniture as well as technologically advanced medical equipment, also adapted for the youngest patients. Rehabilitation rooms have been equipped with innovative equipment for physiotherapy, kinesiotherapy and neurological rehabilitation of well-known and respected companies, such as: Redcord, Ergofit or Kinestica. Wooden couches, electrically controlled tables and Bobath method were purchased as well as functional rehabilitation accessories. High-quality devices, professional staff and individual approach to patients are a guarantee of providing services at the highest level. 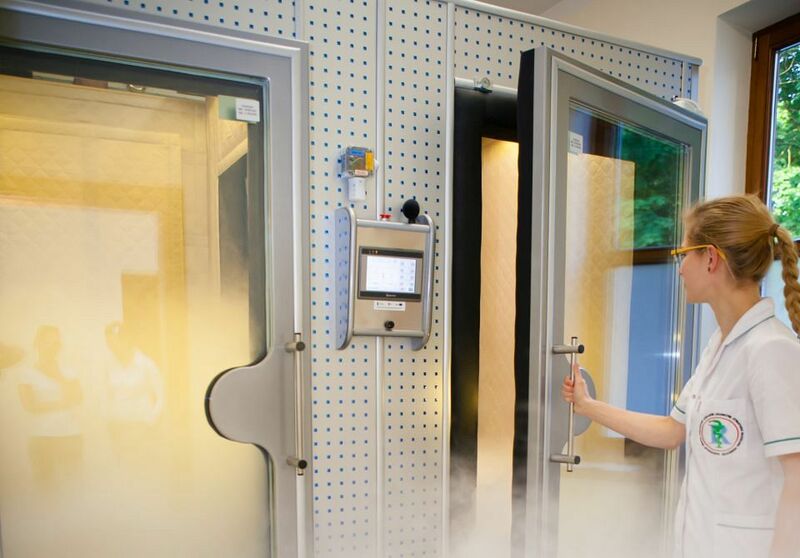 The rich offer of our Clinic also includes specialist cryotherapy treatments. As the owner of the rehabilitation centre REMEDICA Centre for Complex Rehabilitation, I strongly recommend Meden-lnmed due to the high quality of customer service and a very wide range of devices both traditionally used in rehabilitation and technical innovations in this field. Over the years, we have already cooperated with many suppliers, smaller and larger companies, however, none of them cooperated as well as with Meden-lnmed. Undoubtedly, the most important influence on the positive assessment of cooperation is the exceptional representative of the company - Mrs. Iga Karolewska. Equipping CRK REMEDICA - Complex Rehabilitation Centre with the latest physiotherapy equipment, kinesitherapy devices, massage tables and elegant equipment of treatment rooms. REMEDICA is a unique place that will help you look after your health and fitness. Modern equipment, a team of motivated specialist doctors, physiotherapists, a doctor chiropractic and a relaxing, comfortable environment provide patients with the highest level of rehabilitation.